Cattlemen’s Days TETWP has many programs available to the community. 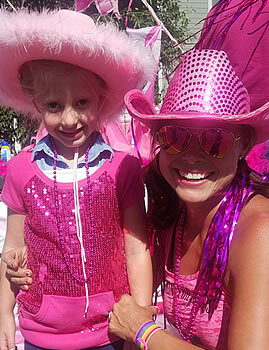 Read on to hear the good things we provide to breast cancer patients in the Gunnison Valley. Cattlemen’s Days TETWP is excited to announce that the use of the TETWP vehicles is now available to ALL cancer patients in the Gunnison Valley. 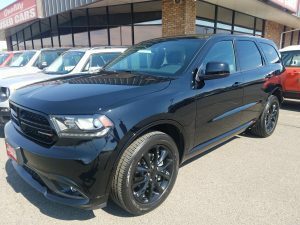 Through a generous donation from Carol Ann May and Jim Saindon TETWP was able to purchase another vehicle, a 2018 Dodge Durango nicknamed “Bucky” that is available for all cancer patients to check out to travel to their out of town treatments! The Gunnison TETWP Truck, nicknamed “Tuffy,” is a patient transportation vehicle. 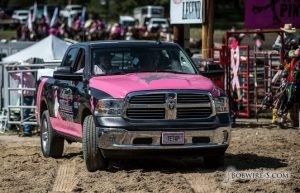 The 2016 Ram 1500 truck, custom-wrapped in the Cattlemen’s Days TETWP logo, is designated to safely transport Gunnison breast cancer patients requiring advanced treatment to medical centers outside the area. 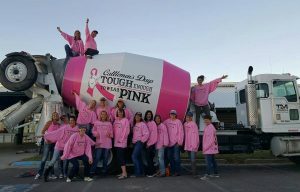 Blue Sky Cleaning has offered to help TETWP make life a little easier for our friends and neighbors going through breast cancer! 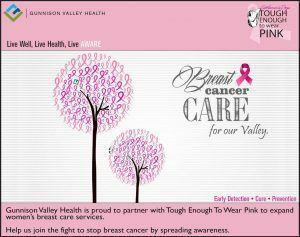 TETWP will provide complementary coupons for two 4 hour home cleaning sessions for breast cancer patients as they undergo treatment. Blue Sky Cleaning has generously offered to provide these services at a discounted rate. 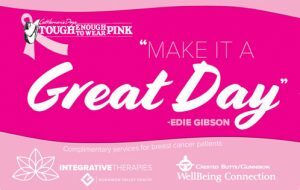 TETWP provides patients with “Make It A Great Day” coupons through their health care providers or the WellBeing Connection. The coupons can be used to access integrative therapies such as reiki, massage, acupuncture, light therapy, nutrition, etc. which have been proven to help cancer patients stay strong mentally and physically while they are going through their surgeries and treatments. 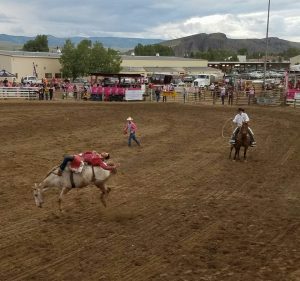 Cattlemen’s Days TETWP Breast Cancer Support Groups are held every month on the second and fourth Mondays from 5 to 7 pm at the Conference Room at Gunnison Valley Hospital. Details about meetings will be posted on our Facebook Events Page. All of these programs wouldn’t be possible without your support! Tuesday, July 10th! Get your tickets while you still can! For VIP Sponsor Tickets, please contact Heidi at 970-209-6332. Gunnison Chamber of Commerce and Crested Butte Chamber of Commerce beginning late June. Thursday, July 12th @ 7:00pm. For more information go to cattlemensdays.com.